General Meetings are held in the comfortable meeting room facilities in the Rosny LINC on the last Tuesday of the month, except December. Meetings start at 8.00 pm and finish at about 9.30 pm. Members and guests are treated to a friendly welcome, information on current activities and upcoming night sky events of interest. Presentations on a wide variety of interesting and current topical issues are scheduled for members’ benefit. 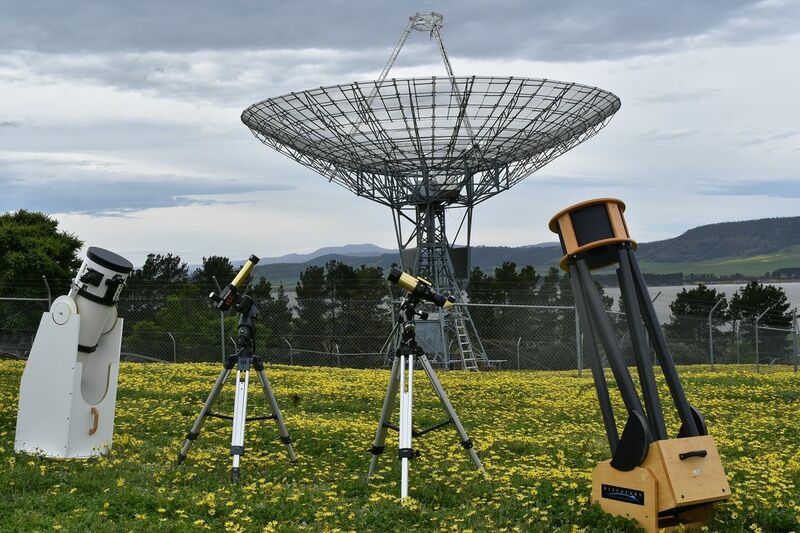 The Society's observatory is located within the University of Tasmania’s Radio Observatory site at Mount Pleasant between Cambridge and Richmond. Click here for details on our observing sites. The Northern group gathers once a month at the Clarendon National Trust Property near Evandale. Click here for details on our observing sites. The Society has a small range of telescopes that are available for loan to Members. It is an opportunity to “try before you buy” for members thinking about their first telescope purchase. Contact the Society’s Education and Outreach Coordinator here for full details.